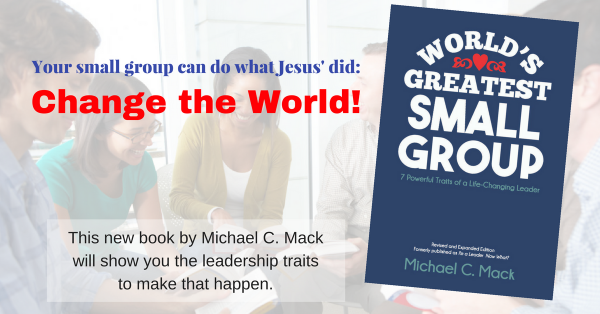 Here are the Small Group Leadership TIPS of the past week as Tweeted, posted on the Small Group Leadership Facebook page, and posted on LinkedIn. Tuesday, 10/27: Leadership is daily, not 1x a week or 2x a month. What are you doing to shepherd & disciple group mbrs today? Wednesday,10/28: Leading alone is abt the worst thg you can do. Share ldrshp with 2-3, not just on mtg days but as you shepherd 24-7. Friday, 10/30: Never really been discipled or still lacking? (join the crowd) Ask someone to disciple you TODAY. Follow Mike and Small Group Leadership by clicking on the icons in the “Connect with Mike” box in the right column. Next article Is It Well with YOUR Soul?